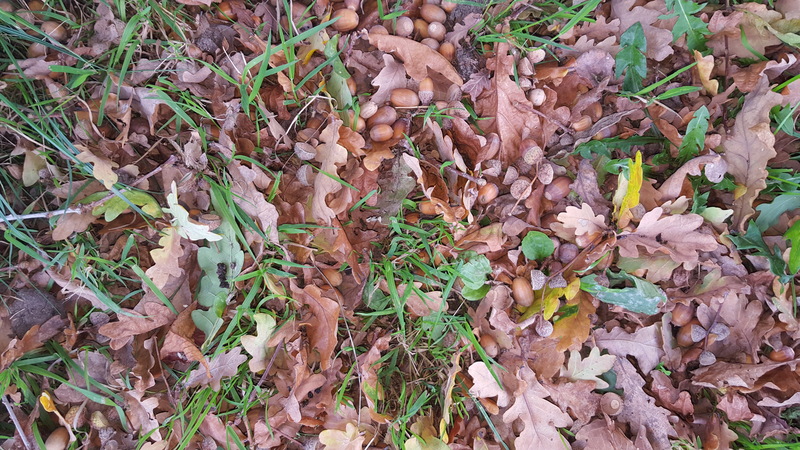 With autumn upon us, fallen acorns are once again the talking point. Actually ALL parts of the oak tree can be poisonous to most animals, not just the acorns, including the leaves, stems and oak blossoms when consumed in significant quantities. A few horses and ponies seem to have a particular passion of acorns. Even those on an otherwise adequate diet can develop a taste for them and actively seek out fallen acorns. The toxicity of oak is due to compounds known as tannins. Once eaten these are converted to toxins which affect the kidneys and gastrointestinal tract. Though most plants contain tannins, oaks contain particularly high levels. Green acorns actually contain more than the riper, brown acorns. Ripe acorns that have been soaked by rain will be lower in tannin as the toxin is water soluble and leaches out. Adequate access to other foods, such as hay and grass, will help buffer and dilute the tannin effect. Clinical signs of acorn toxicity in the horse affect the gastrointestinal tract and kidneys. There may be a loss in appetite, depression and low grade abdominal pain in mild cases, escalating to bloody diarrhoea or urine, rectal straining and constipation in more severe cases. Faeces may be seen to contain acorn parts. Unfortunately there is no specific antidote for oak poisoning and treatment is limited to supportive care. Monitor fluid intake. Liquid paraffin or laxatives may help remove lingering acorns still in the guts. However in severe cases the prognosis is guarded particularly where the kidneys have been affected or the gut damage is so severe then it is not always possible to save these horses. Do not allow animals further access to fallen acorns. · either by fencing off areas of your paddock or stabling where possible. 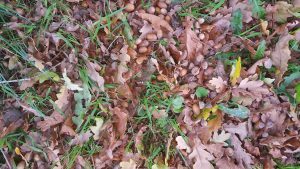 · rolling fallen acorns into the ground using a heavy roller.